I have freckles. I've had them since I can remember, and also since I remember I've hated them! I know most people say they are so cute, or they bring character- but for me, they are a pain in the put. 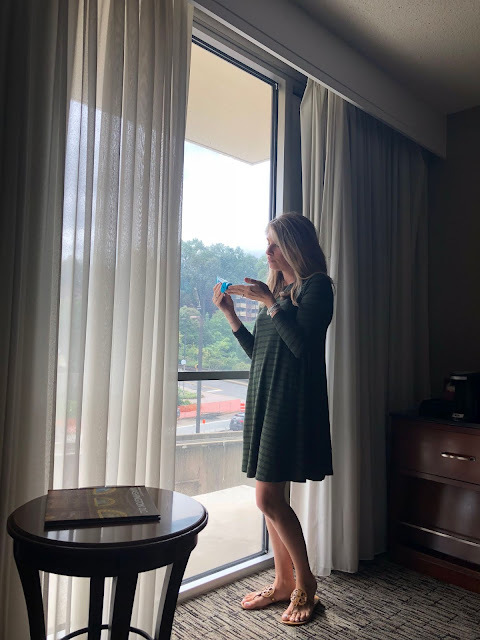 Knowing that I am so susceptible to getting a sunburn due to my freckles, I always wear sunscreen! 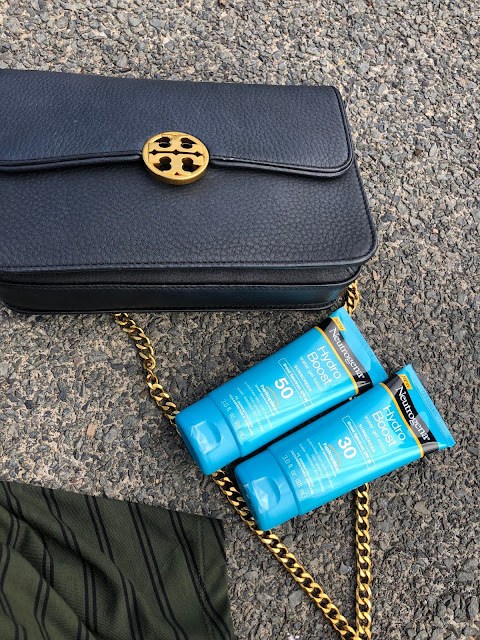 Whenever I go on a trip, or know I'll be outside whether at a sporting event, shopping or just walking around for a period of time, I always through a smaller bottle of sunscreen in my purse! Here are some reasons why I always wear sun screen.. I don't know one person who would want to age faster. I can't imagine what I will look like with wrinkles, but I'm not ready to find out anytime soon! 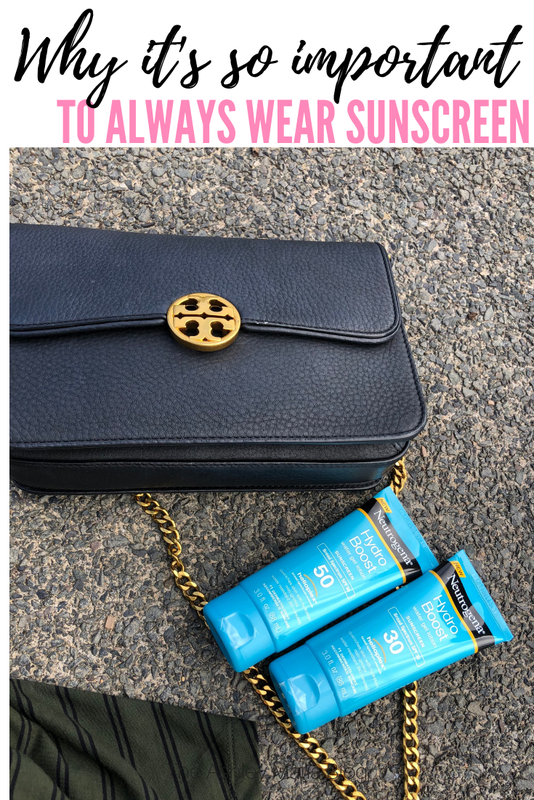 Neutrogena is helping me with not finding out with new Hydro Boost Sunscreen, a sunscreen that feels nothing like what you think a sunscreen should feel like! 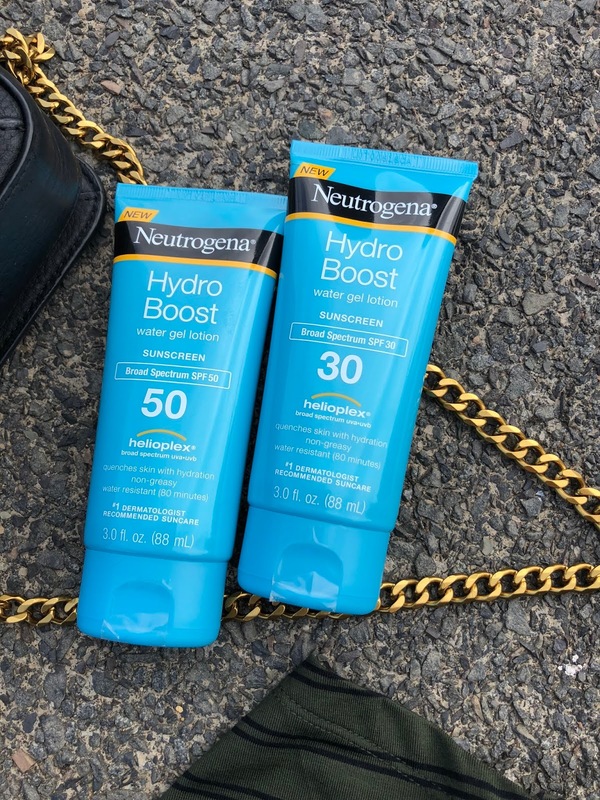 I love putting on a sunscreen that feel likes I'm not wearing any, and Neutrogena's Hydro Boost is oil-free and non-comedogenic which will reduce your face getting blothy spots from being out in the sun! Did you even think 'I'm wearing long sleeves, so I can't get burned' I have too. But unless you are wearing clothing with special SPF protection, you can still get burned through them. More people are diagnosed with skin cancer each year then any other kind. With advanced formula, Neutrogena Hydro Boost delivers both hydration and protection – it goes on easily and absorbs into the skin quickly, all while delivering vital moisture to the skin for an instant boost in the skin’s appearance. I received these samples free from Brand Backer, however all opinions are my own!